One thing that I love about homeschooling, is the ability to pick up books for the three amigos (my newfound all inclusive name for the ladybug, Sir Twizzler, and Lil’ Miss) that wouldn’t necessarily be picked up by a preschool teacher. 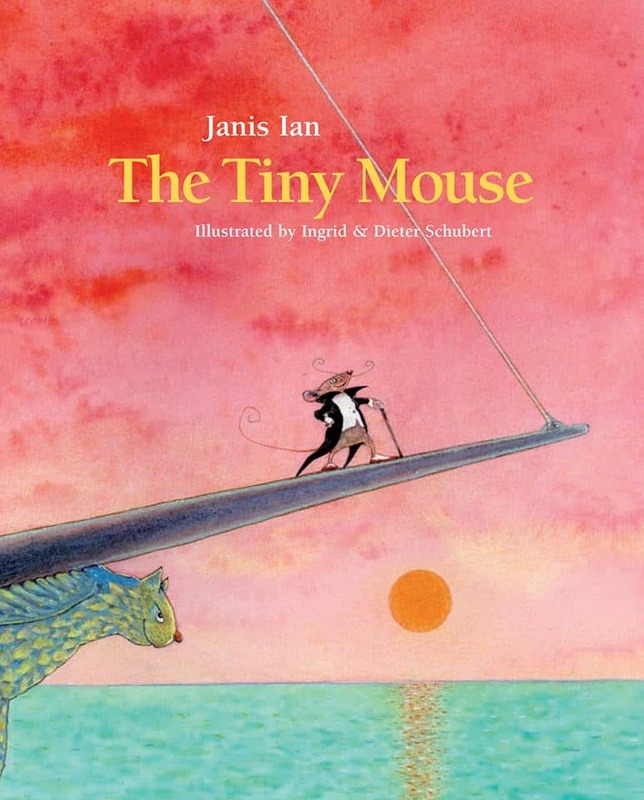 So, I was pleasantlly surprised at finding The Tiny Mouse by Janis Ian in my mailbox earlier last month. While I’m not particular fond of animals of the rodent variety (except rabbits, everyone loves rabbits) I did find this story to be of the whimsical variety. The mouse who is tired of the life that he is living, sets out to find adventure, and realizes that it’s much more than her bargained for. The story is set to music AND included the CD so that I didn’t have to figure out how to sing it, and torture my kids in the meantime. It also comes with piano and guitar music for those of you who are versed in those intruments. They enjoy giggling at the crazy adventures of the mouse, and the illustrations as well. Speaking of illustrations, they are done by Ingrid & Dieter Schubert, and use what appears to me as watercolors in a great way. The pinks and blues and greens are so vibrant. The book does end in a way that is unsavory to me, mostly because it’s a mouse, but it’s a GOOD ending people. I’d say if you are looking for something that’s an easy read, and not exactly what’s being mass produced by every other children’s author (think dystopia, vampires, zombies, teen angst) then you should give this book a go! Disclosure: I received a complimentary copy of The Tiny Mouse to review – all opinions like usual, are my own. Thanks for the nice shout out! Please let all your homeschooling friends know that if they visit http://www.thetinymouse.com they can download music, read interviews, get links to videos of my puppy learning to read the book, and more!! Jenny Gallagher liked this on Facebook.